Full Service Interior Design and Decoration Firm- ASID Member- Jackie is best known for her casually elegant designs, crisp color choices and seaside flair. Combining classic style with modern sophistication has become her trademark and the interiors she designs reflect a fresh yet timeless appeal. Habitech Planning & Design, Inc.
HABITECH PLANNING & DESIGN is a full service design firm, driven by a passion for quality design solutions that are innovative and cost effective. We combine our diverse expertise to partner with our clients to create, enhance and add value to their built environments. HABITECH'S core team of talented architects and interior designers has a 45 year heritage of offering consistently inspired and high quality interior space planning and decorative interior design solutions for corporate, retail, residential, hospitality and healthcare clients. Please contact us for your next design project! AMi Design is home to interior designer and founder Carmela Acerra Posillico. Her portfolio includes numerous interiors varying from residential to commercial clients, and from traditional to contemporary styles. Opened in 1988, AMi Design's vision has always been to create timeless interiors that are customized for each client's individual needs. Born and raised on Long Island, New York, Carmela began her passion for design at an early age. Helping her father, a cabinet maker and furniture designer, Carmela developed a love for fine architectural craftsmanship which helped to earn her Bachelors degree at New York Institute of Technology. Prior to AMi Design, Carmela worked for Long Island architecture firms and taught interior design at Parson's School of Design. AMi Design offers the utmost in design creativity, spacial innovation, project detail, and product quality. Carmela's talent, experience and practical approach to design are what make working with AMi Design such a pleasure. Carmela and her design team strive to surpass every client expectation and have 20 years of design excellence to prove it. To schedule a consultation for your next design project, please contact AMi Designs by phone or email. We would love to assist in making your visions real! Hoffman Grayson Architects LLP is a boutique architectural firm, specializing in unique designs for residential and commercial projects. With our staff of eleven architects and designers, we offer a highly personalized service for a broad range of project types. Christopher Burns Interiors focuses each project on the clients' individual personalities and needs. Lillian C Morea Interiors provides full-service residential interior design services throughout Long Island, New York. Our goal is to provide a beautiful, inviting, comfortable and most importantly, functional environment for your home or office. We personalize each design to your individual needs and style preferences. Whether you are redefining one room or about to break ground on a new residence, Amal Kapen Interiors can help you make the right decisions to create a comfortable, beautiful space that reflects your tastes and lifestyle. 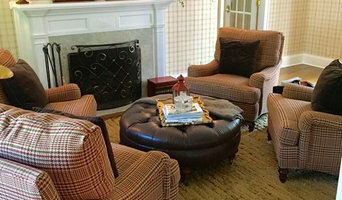 Staged is the tri-state areas premier staging company, offering exclusive furniture and props ideal for homes, apartments , or any of your staging needs. With both long and short-term rental packages, Staged provides full service design and rental expertise to ensure swift and successful real estate sales. You only get one chance to make a great first impression, and when selling your home or apartment, choosing Staged NY guarantees you’ll do just that. Whether you prefer a clean, sleek, minimalist modern design or a colorful, warm, eclectic, bohemian look, Staged’s “hands-on” approach will enhance your personal style and accent your home’s best features. The Hamptons Interior Designers Best of Houzz 2014 & 2015! ONE COMPANY… THREE CORE SERVICES DESIGN/BUILD - Client services here are Concept to Completion luxury home design and construction. Services include, architectural design, demolition, town permits, project planning, construction, interior finishes, and furnishing. We’ve completed several of these projects on our carefully selected parcels and on client supplied vacant parcels and demolition properties. BUILD/RENOVATE - Here clients come to us to either renovate or modernize their existing home, or to build and manage the construction of a home that they have designed with their own architect. DECORATE/FURNISH - With three onsite designers and several hundred projects completed, our clients know that we seek out the highest in quality products at competitive value. We bring your vision to fruition by our ability to understand your needs, and find the best design and product solutions to make it happen. We have many satisfied clients that have collectively committed several million dollars in purchasing our services … please see their reviews on this site. James DeLuca Architect, DeLuca Designs Inc. Interior Design By Nancy - Your premier full service design team Interior design by Nancy is one of the premier interior designers on Long Island with a collaborative spirit and a keen eye. Nancy prides herself on listening to her clients. You talk and Nancy translates your dreams into unique, timeless spaces that are also livable and inviting. Nancy understands that the design process is personal and works diligently to provide each clients personal touch to their project. In her own words... "I am a mother of three teenage sons and I put them. my husband and my faith as a top priority. When I am not designing, I like to spend time with family, friends and trying out new and exciting restaurants. Weekends are filled with lots of teen boys in the house, serving them lots of food and enjoying friends. My passion has always been art, design and being creative and I like to push the envelope and try new design ideas. Often times, clients will tell me that interior design is an overwhelming experience. I understand how you feel. My job is to make interior design fun and easy for you, my clients — to educate you along the way, to introduce you to people, products and designs you may not have encountered on your own. With that, we create your dream space. Call it what you like: eclectic, timeless, refined, easy, authentic, polished, rustic, comfortable, time-honored, classic. I call it YOURS, and I can’t wait to work with you. Our Long Island studio is conveniently located right in the middle of long island. I am just a quick ride away from most of our clients." Nancy is a member in several designer-related organizations, including the American Society of Interior Designers (ASID) and The Interior Design Society (IDS). Our Services Interior Design By Nancy is a full-service residential interior design firm specializing in space planning, renovations and custom furnishings, fixtures, window treatments, and project management. Our services include… but are not limited to the following: Planning and layout of your space Custom furniture and design specification Custom window treatments Kitchen and bath design, renovations and implementation New construction, planning, plan review and specifications. We have a full service team of contractors, architects and builders. If you're feeling overwhelmed in your home, I work with you to rid yourself of the excess stuff that is no longer useful to you and create systems to make it easy to remain organized! I can help you to reorganize your closets, kitchen, bathrooms, etc. so each space is useable and easy to access. If you're moving, I can completely unpack your home for you to start off in your new space totally organized. Once your home is in order, you can use that fresh, clean energy to move forward with your life and create opportunities you never knew were there!